Yellow dock (Rumex crispus) is supplemented to treat a variety of health problems, such as digestive issues, inflammation, anemia, and venereal diseases. Yellow dock contains several important vitamins, minerals, trace minerals and flavonoids including calcium, potassium, iron and high amounts vitamin c and vitamin a.
Yellow dock root is known to help stimulate the production of digestive and gut enzymes improving digestive system health. 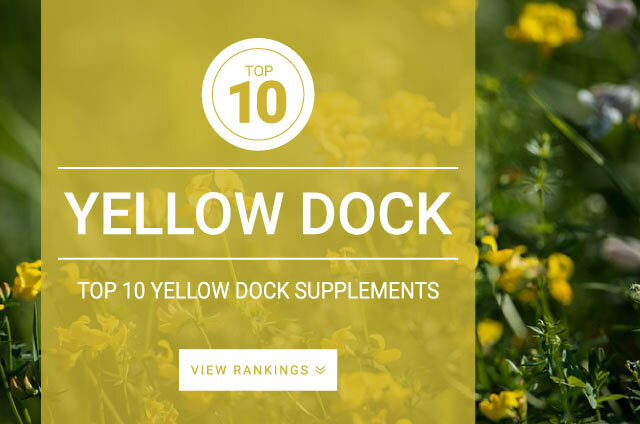 Yellow dock is most beneficial as a natural laxative as it contains a glycoside called emodin which has been shown to help stimulate peristalsis. The recommended daily dosage for yellow dock is 2,000 mg – 4,000 mg of dried root.